The Pump Doctor services domestic and small acreage. At The Pump Doctor the person that owns the company does the work. He is fully qualified, fully insured and a licenced electrician. All work done is documented for your safety and convenience. 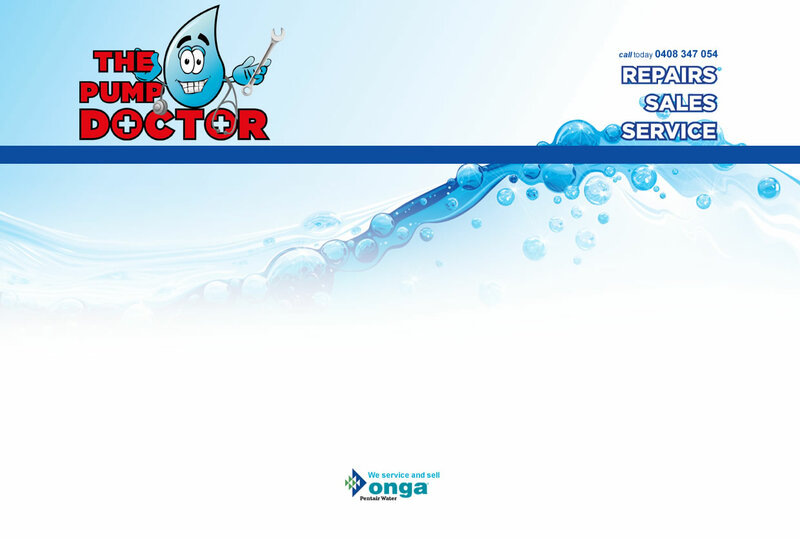 Onga's Homemaster range leads the way in providing consumers with product solutions targeted at improving water pressure levels for your home and garden. Typical requirements include pressure systems for household water pressure (Showers, Basins, and Mains Hot Water Systems) rainwater harvesting, and garden irrigation. Features include constant pressure, dual source selection, high pressure and reliability. Onga's cast iron Farmmaster series of pumps are engineered for ultimate reliability and performance. These pumps give outstanding performance in almost any situation – whatever you need to do with water, you can't beat an Onga Farmmaster. With cast iron construction and precision engineered internals, Farmmaster pumps are built tough to last in demanding conditions. These strong and versatile pumps can be tailored to your particular needs, using interchangeable internal components delivering you the efficiency you demand. You don't have to compromise – Farmmaster pumps adapt to your needs.